2016 was a record year for Wines of Provence and it is far from over. Provence remains the matchless leader for premium rosé wine both in France and abroad, especially in America where the trend is in full swing. Guests were treated to a lavishing meal and the chance to taste the divine fruit of the vine at Miss Paradis, May 3rd. 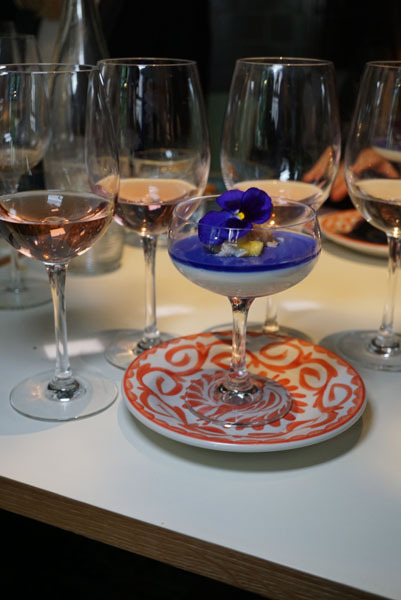 Chef Adir Cohen designed an elegant menu, which were perfect compliments to the different Provence rosés. 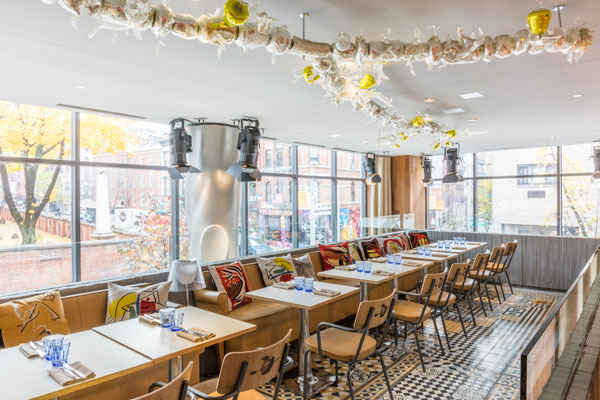 Wines were tasted from all appellations composing the Wines of Provence, namely Côtes de Provence, Coteaux d’Aix-en Provence, and Coteaux Varois en Provence. 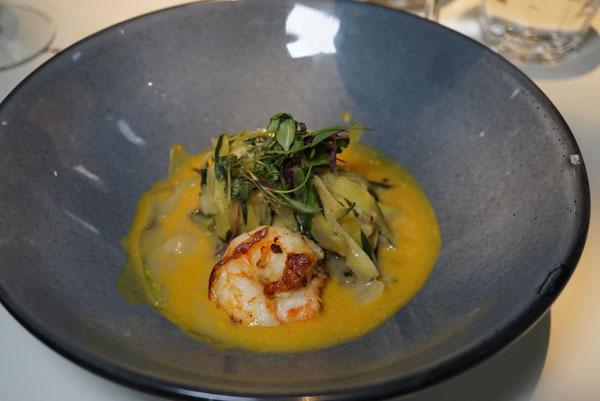 The first pairing consisted of a delectable Zucchini Tagliatelle with curry sauce, Parmigiano-Reggiano, and roasted shrimp, paired with Château de l’Escarelle, Les Deux Anges. 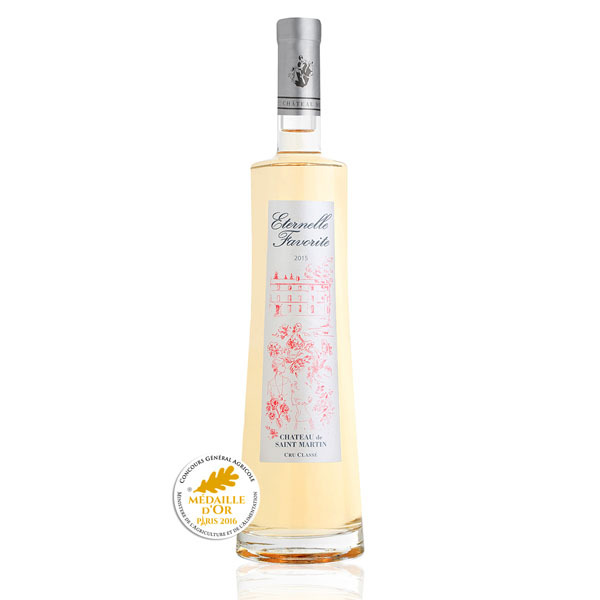 “I chose the L’Eternelle Favorite because of its vivaciously aromatic citrusy notes that balance with the creaminess of the Pana Cotta and the floralness of the lavender. This dessert is one of my specialties and is, I must say, hard to pair with a wine because of its diversity of textures and flavors. I would definitely choose a dry rosé, with a particularly citrusy profile”. Here are a few reasons Provence wines are so celebrated. Unrivalled quality—The only region in the world to dedicate 89% of its production to rosé, these wines shape the category’s benchmark. Outstanding Palette—The region offers a perfect rosé for all seasons and cuisines. Provence is home to an unequalled diversity of luscious and versatile rosés. Iconic Lifestyle—More than a go-to-wine choice, drinking Provence rosé becomes a way of life, embodying its home region, and best enjoyed with family and friends. Green Excellence—Provence is home to France’s most sustainable vineyards, setting the record with 24% of vines being organic, compared to a national average of 9.6%.